Everyone loves fresh, homemade oatmeal raisin cookies right? Well, vegans love vegan oatmeal raisin cookies too! In fact, vegans are pretty much known to love all kinds of cookies, as long as they're vegan, of course! 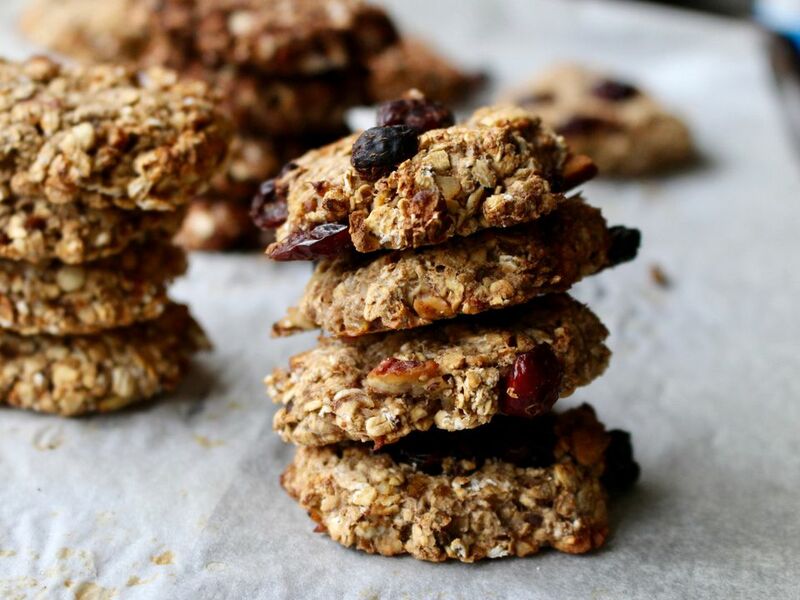 There tends to be very little difference between cookies made using milk, eggs and butter and those using vegan non-dairy substitutes (non-dairy milk, egg substitute and vegan margarine, usually), so don't be afraid to try these vegan oatmeal raisin cookies, and don't be afraid to share them with your friends either! This recipe is a vegan, egg-free and dairy-free version of classic oatmeal raisin cookies, just like mom used to make and with all the essential ingredients: brown sugar, flour, vanilla, oatmeal, raisins and just a few spices, including cinnamon, cloves and nutmeg. Blogger Kara Kehoe of VeganWifey.blogspot.com tried these cookies and suggests using a dash less nutmeg and cloves, and adding in the optional chopped walnuts. I usually prefer my cookies without nuts, but up to you! First, pre-heat the oven to 350° F.
In a medium-sized bowl, beat together the sugar, brown sugar, vegan margarine and the vanilla until smooth and fluffy. Next, add in the soy milk and mix together until well combined. Next, add in the flour, baking soda, salt and the cinnamon, cloves and nutmeg and stir until well mixed. Add the remaining ingredients. The cookie dough batter will be very thick. Drop the cookie dough by 3 inch balls onto a cookie sheet or baking sheet and flatten slightly. Bake your oatmeal cookies for 12-15 minutes, or until done. Cookies will still be slightly soft and chewy when they are done baking. Yum! Enjoy your vegan oatmeal raisin cookies!